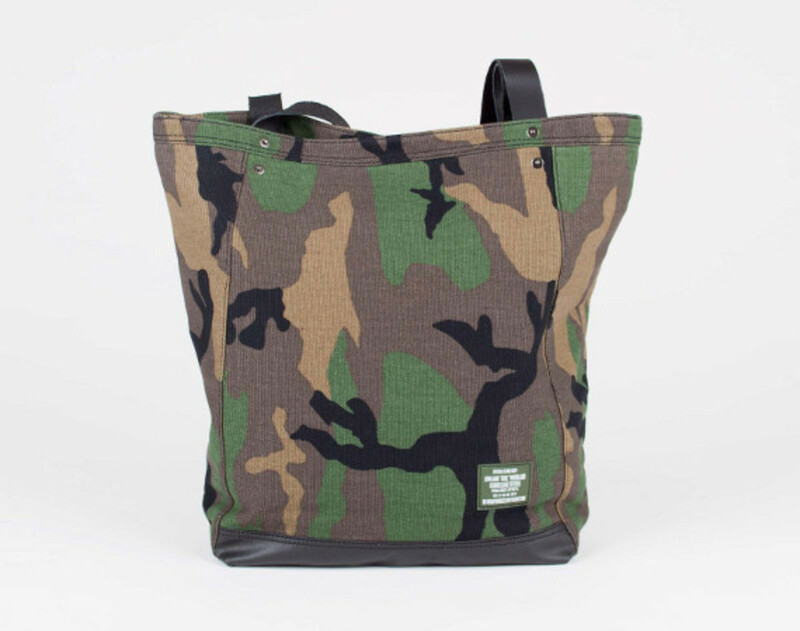 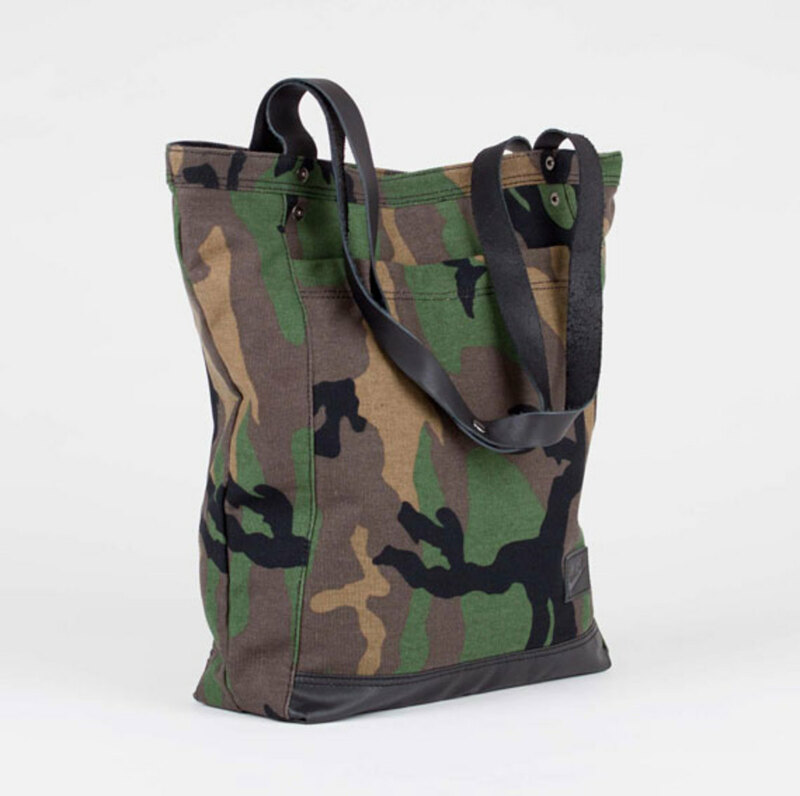 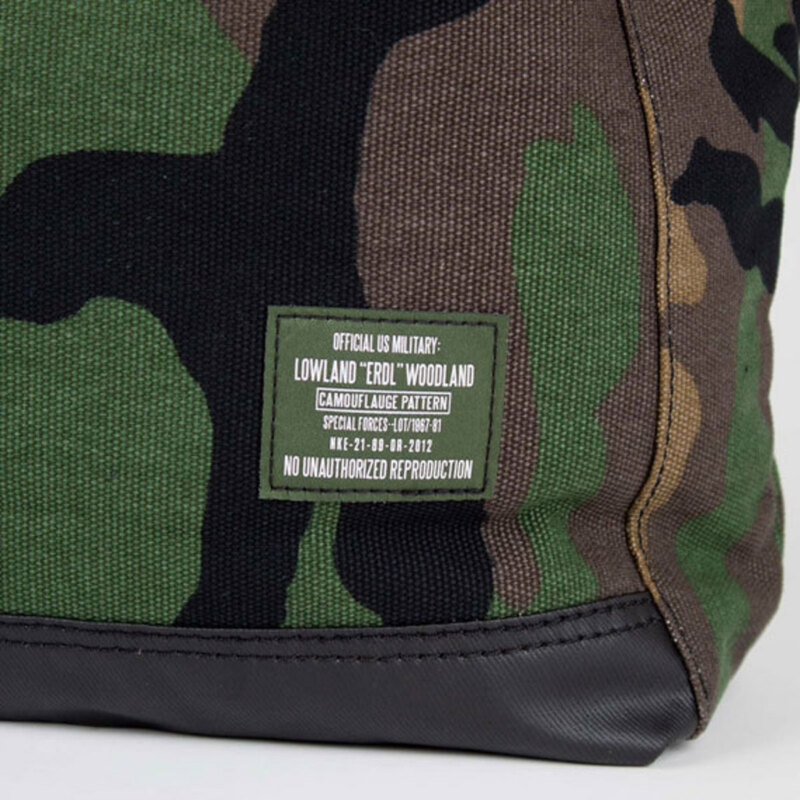 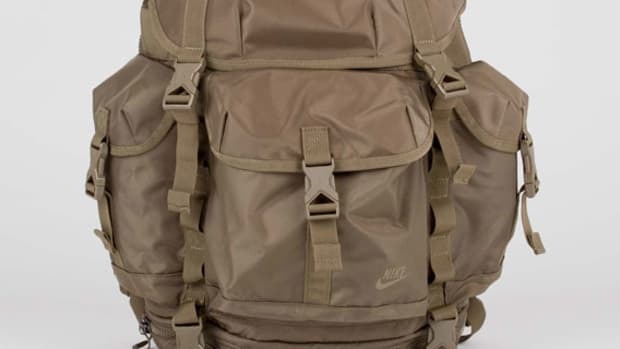 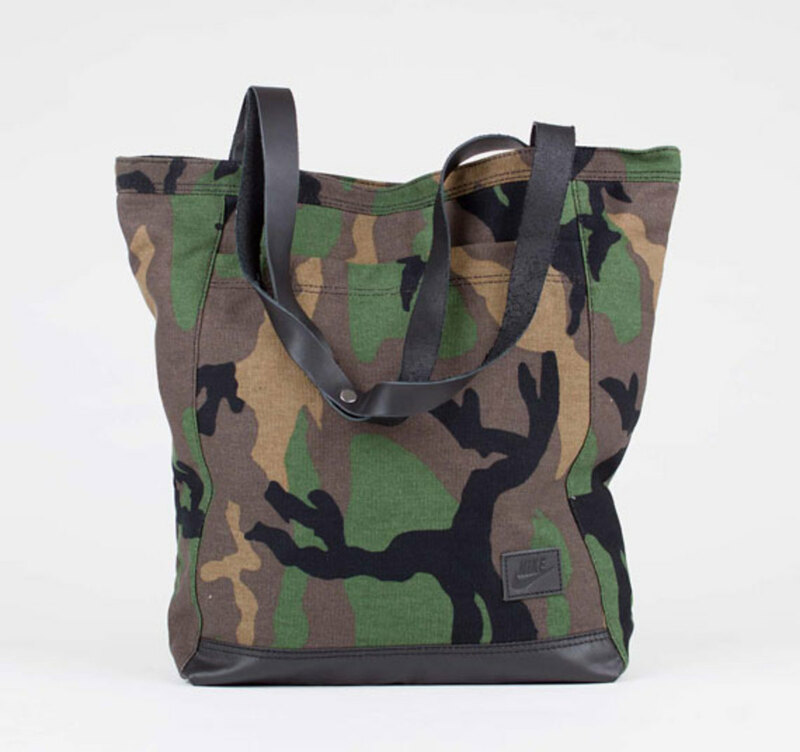 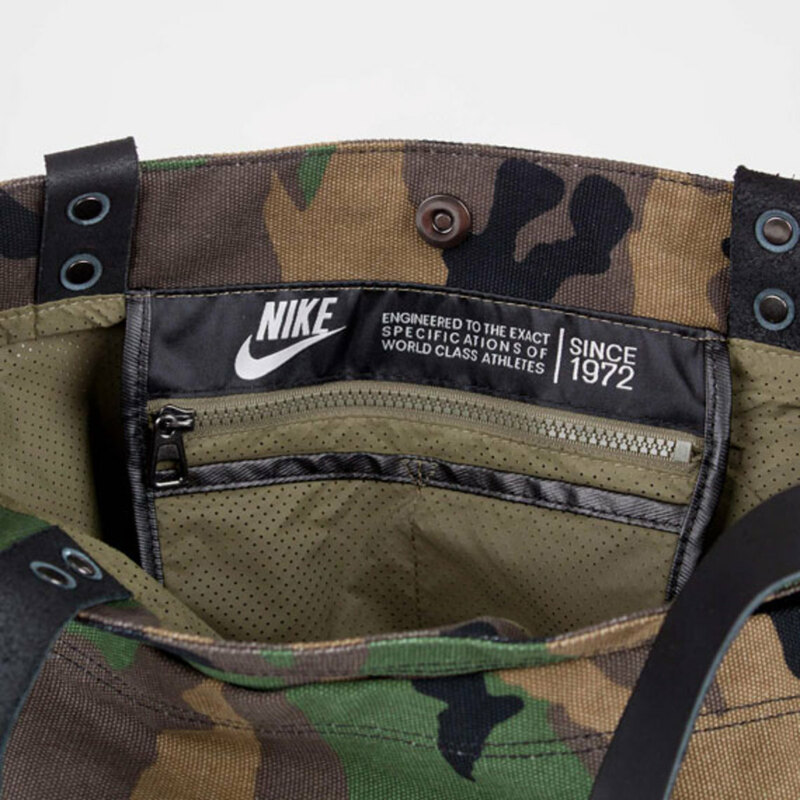 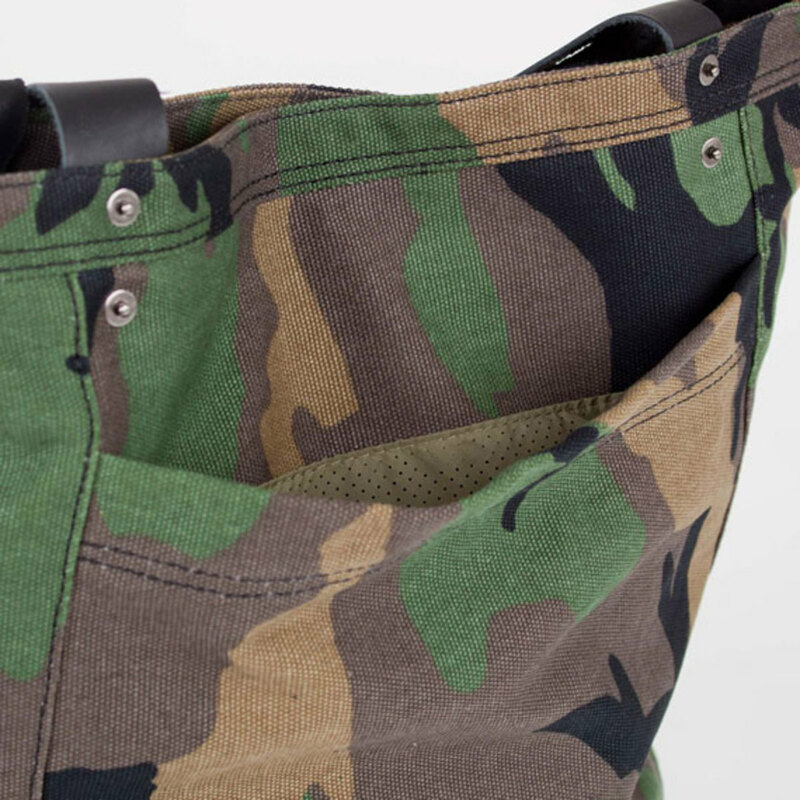 A convenient carryall that will allow you to haul your gear in style, the Brigade Tote Bag from Nike comes in two unique colorways — ERDL Camo/Medium Olive and Black/Volt. 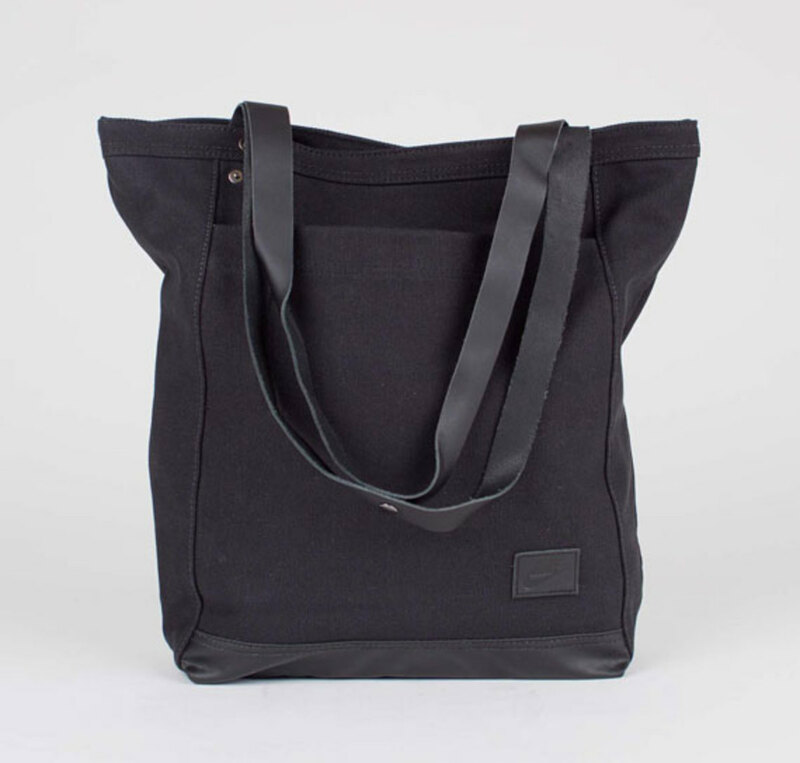 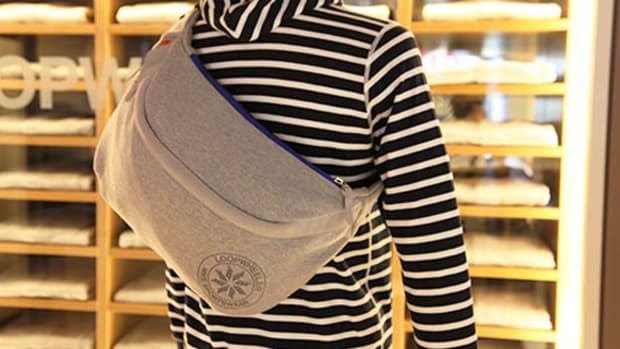 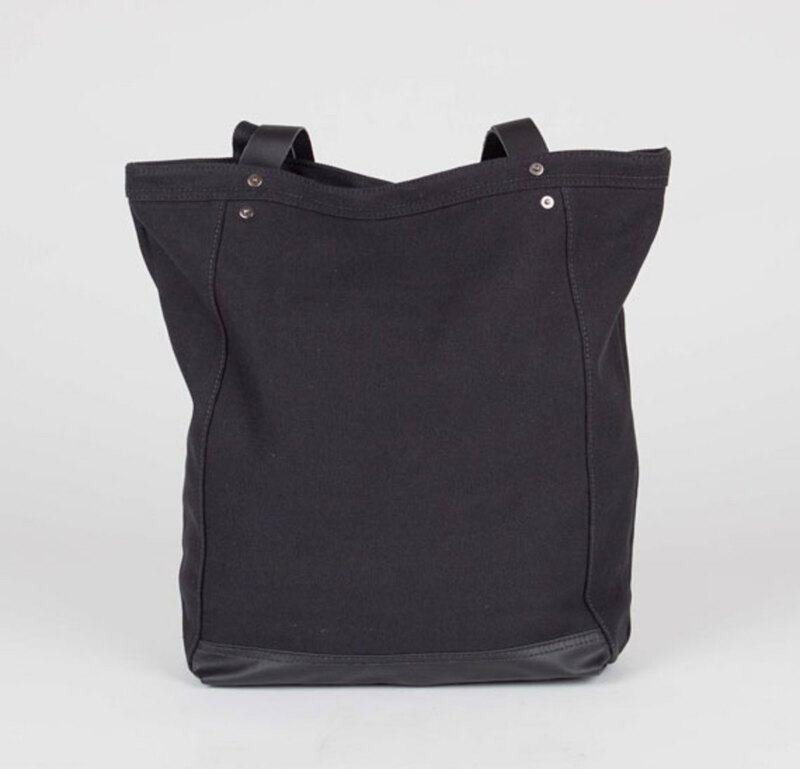 Features include leather straps for easy carrying, magnetic closure for easy access, an exterior pocket and perforated nylon lining. 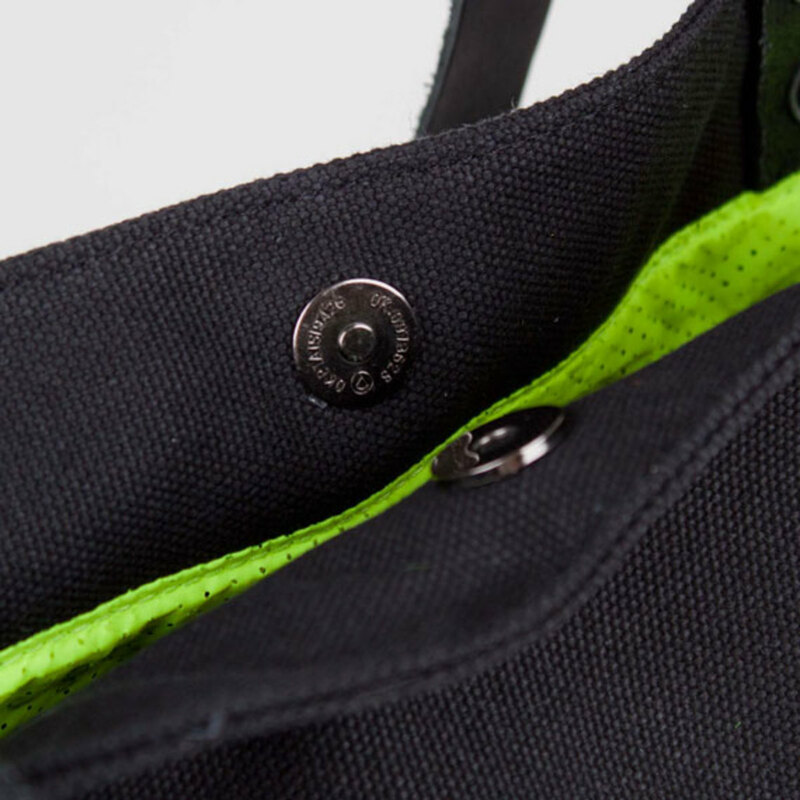 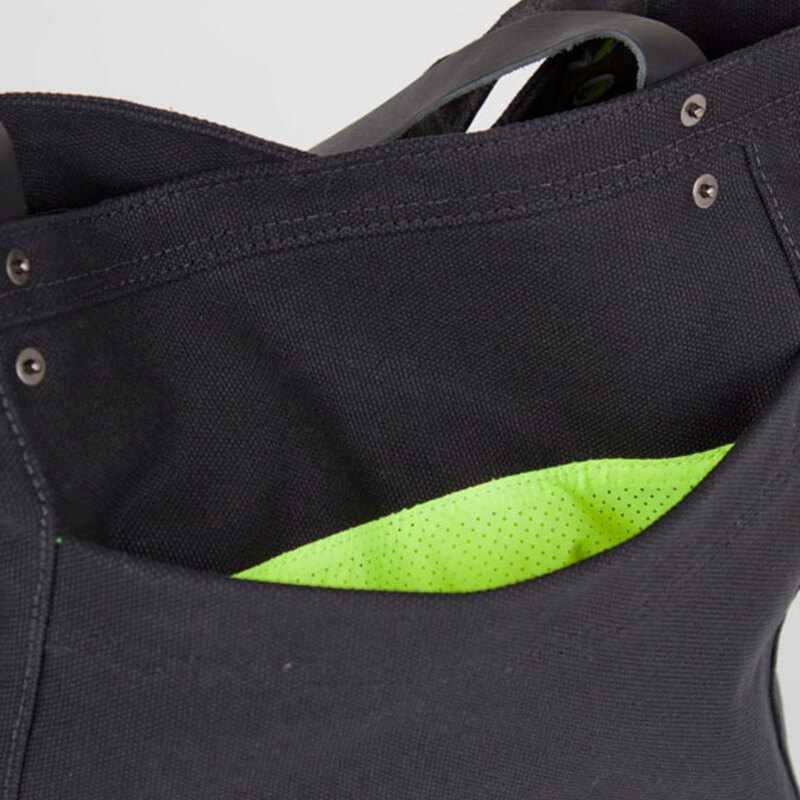 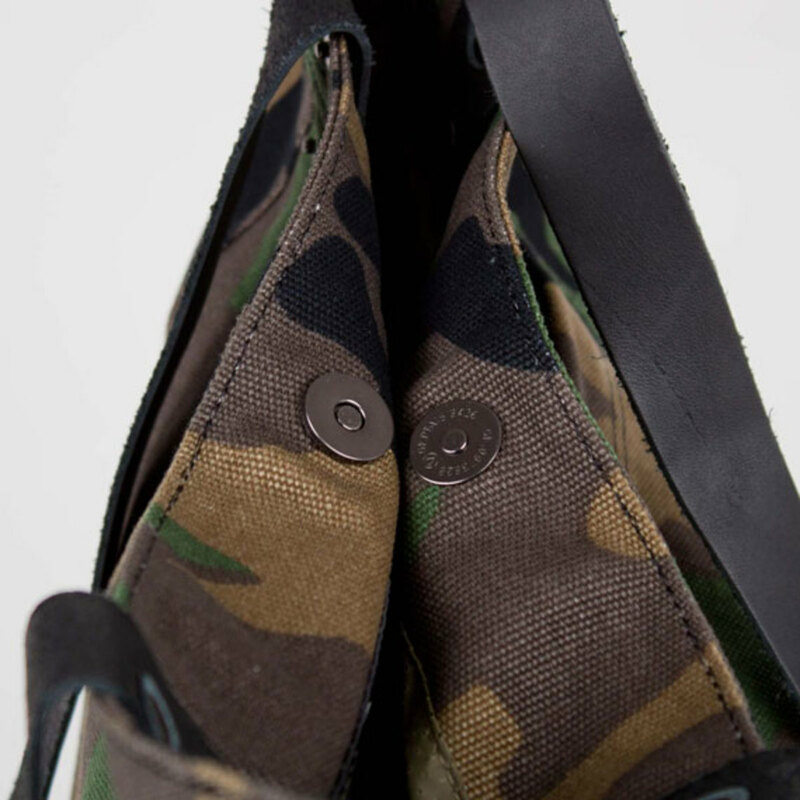 An interior zip pocket allows for the storage of valuables, while a leather reinforced bottom panel provides added durability. 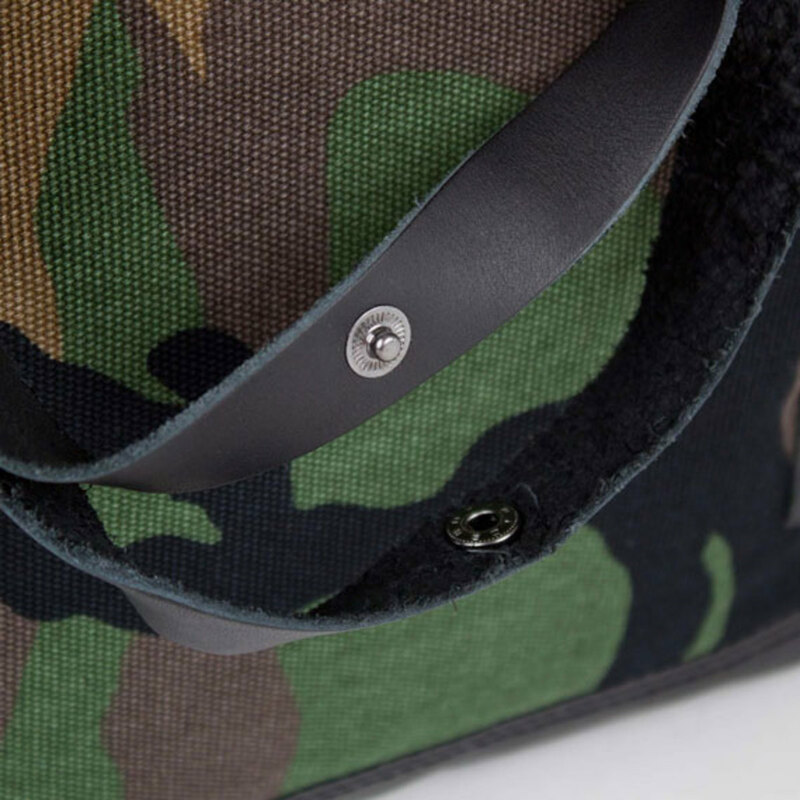 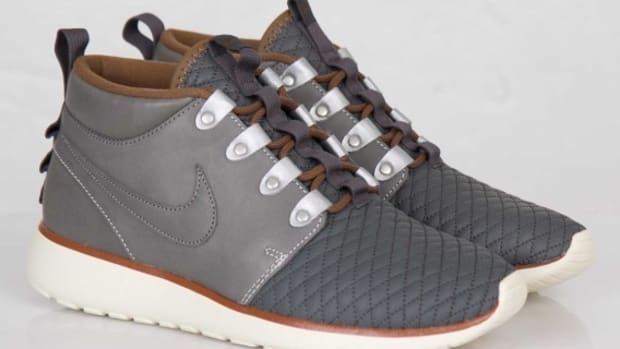 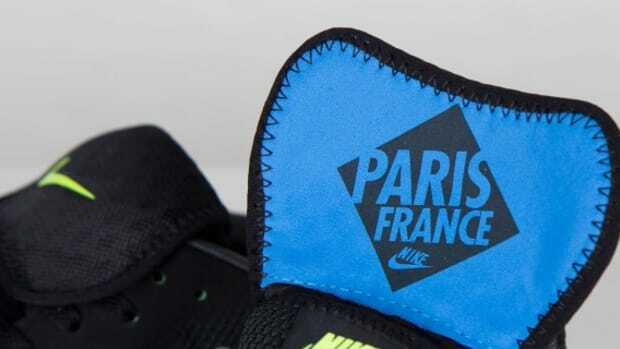 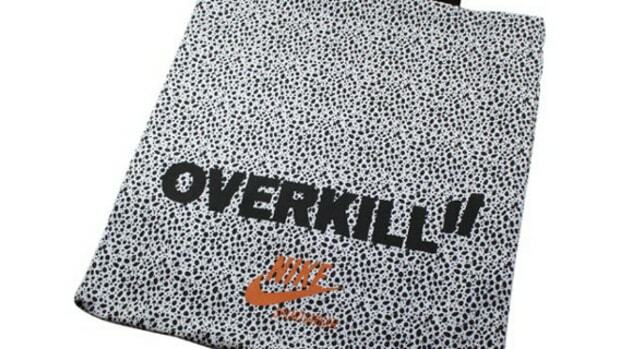 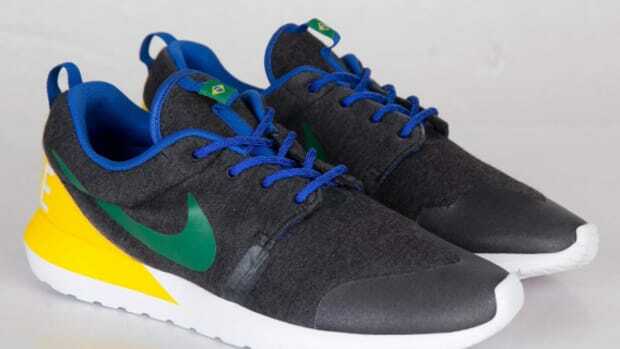 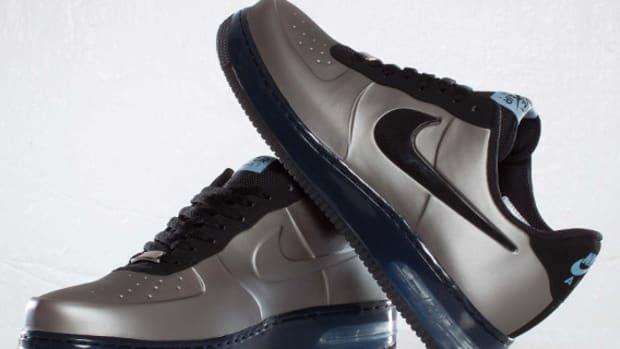 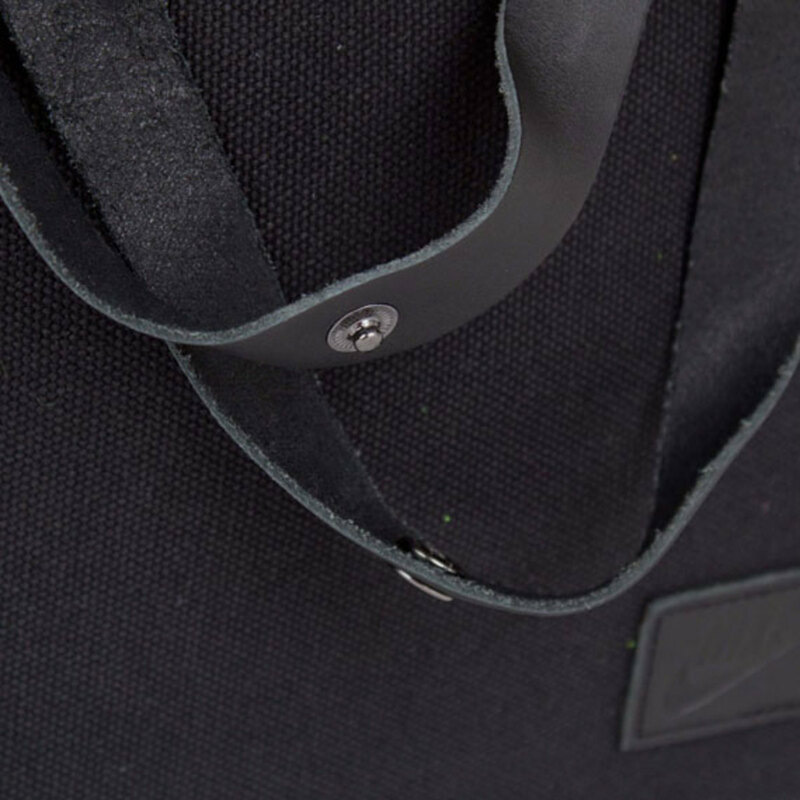 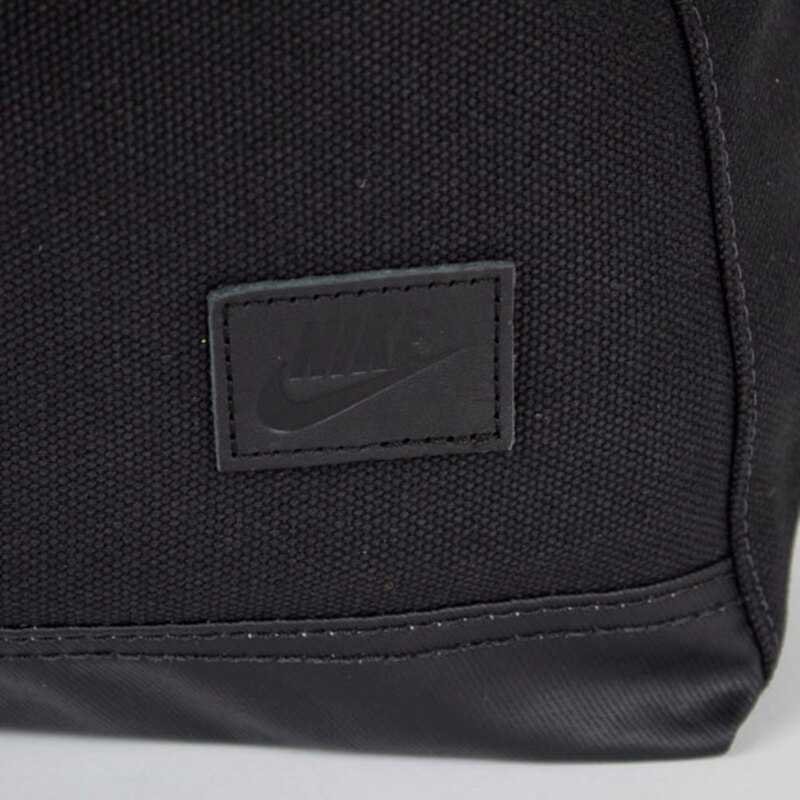 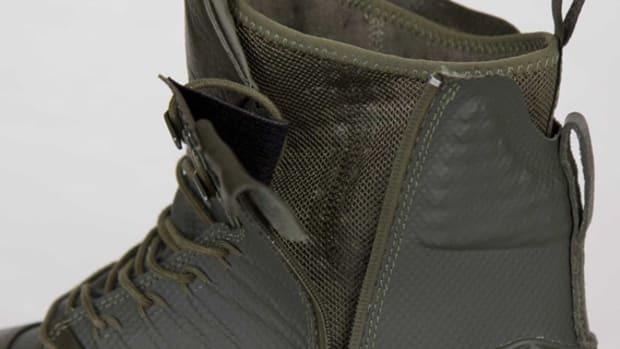 Branding is limited to a leather logo patch on the lower right corner, plus interior Nike print. 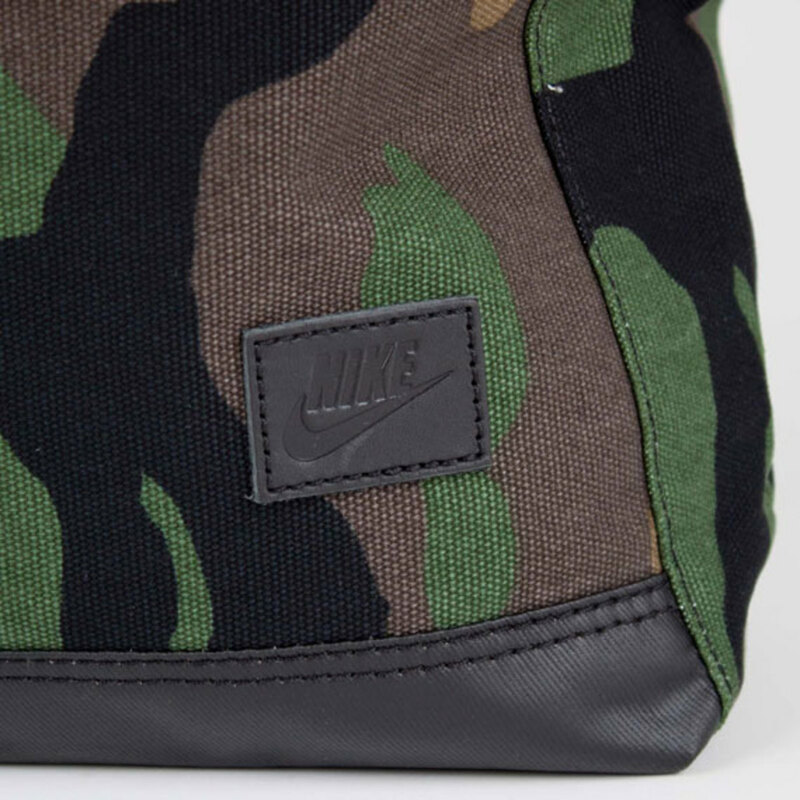 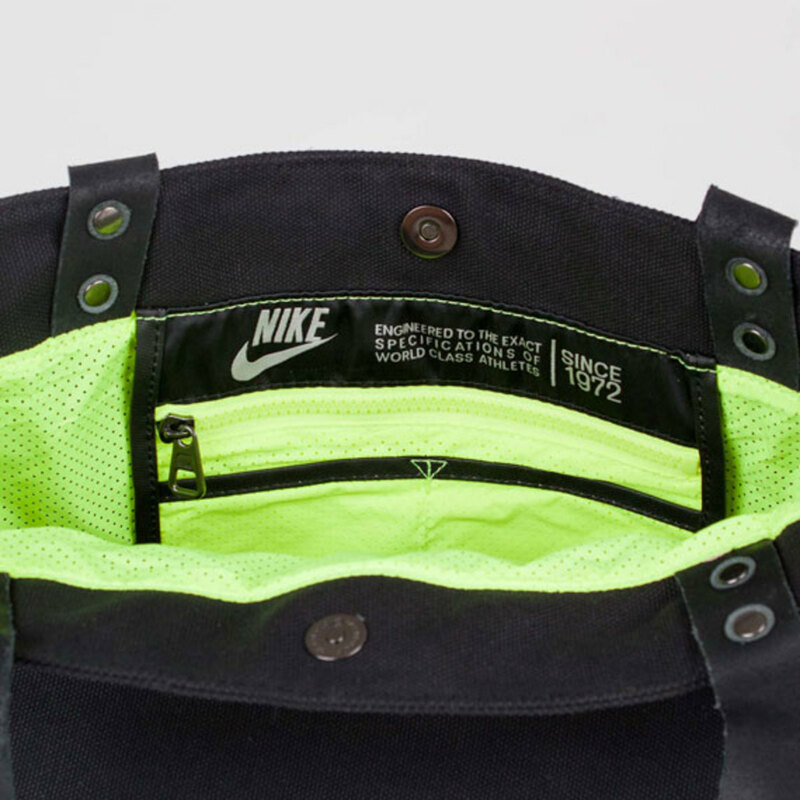 The Nike Brigade Tote Bag in either woodsy ERDL Camo or sleek Black/Volt is available now at Sneakersnstuff’s online store.